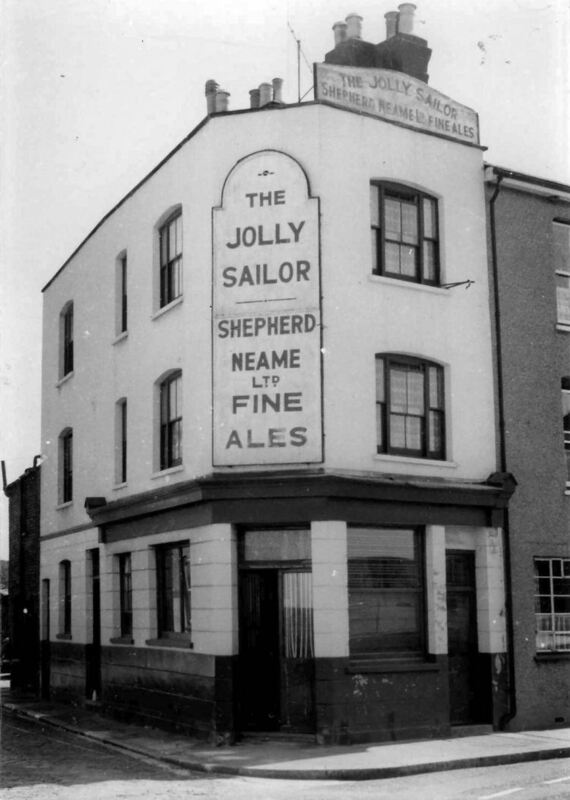 Above photo of a pub showing the "Jolly Sailor," unknown date, but as yet the location in Kent is unknown. Help required. Above photo kindly sent by Peter Moynahan. The above pub looks like the "Jolly Sailor" in Blue Town, Sheerness.